Beyondcare Nursing Services is a premier home health care agency licensed in the state of Maryland by the Department of Health and Mental Hygiene (DHMH), under the division of The Office of Health Care Quality (OHCQ). We were established to meet the community’s significant need for quality home health care services. Our staff is composed of licensed Nurses, GNAs, CNAs, and CMTs certified by Maryland Board of Nursing. Through their expertise, we endeavor to provide real solutions for the people we serve and their families. At Beyondcare Nursing Services, we commit to the community, building a reputation to be known as the best choice when seeking home health care services. We are committed to providing professional, ethical, and quality service, relief from worry that can occur when hiring privately. We strive to improve the quality of life of our clients, particularly people with disabilities and seniors aged 65 years old and above. Our mission is to provide the services need that will allow a person, regardless of type or presentation of abilities, to live in their location of choice, as an alternative to going to a hospital or other institution type facility. Our vision is to operate an exceptional Residential Service Agency that focuses on excellence in customer care satisfaction. To be one of the most trusted agencies in Maryland, delivering excellence in all aspects of customer service satisfaction. To learn more about our agency and services, contact us at 443-858-4028 for further discussion. 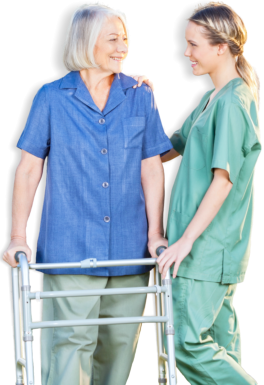 Beyondcare Nursing Services is licensed in Maryland to provide residential health services. We recognize that there is a significant need for quality home health care services. Therefore, we are dedicated to providing real solutions for the population we serve and their families. We are committed to the community, building a reputation to be known as the best choice for those who seek home health care services.